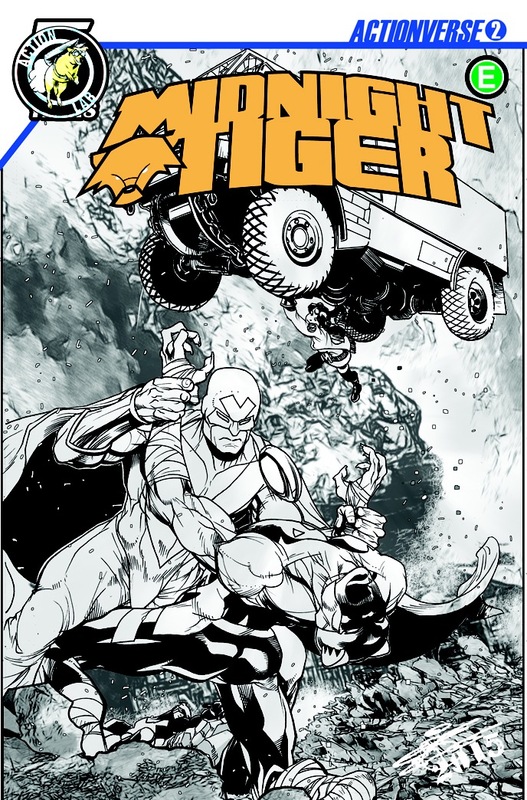 I want the guys to succeed so I showed my support by drawing their characters on a Midnight Tiger’s cover which I had a great time doing. Here’s the cover with and without the logo and the header. 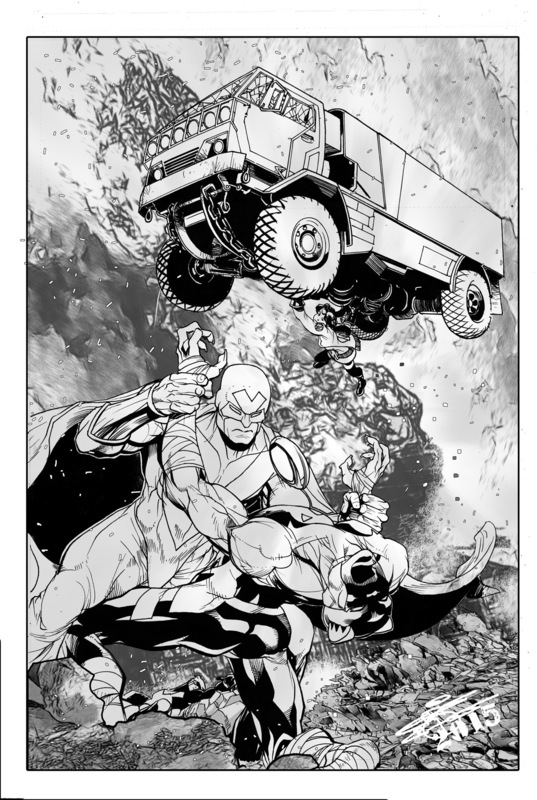 I’ll show the colored version as soon as I get that image. It was great drawing Molly Danger, The Stray, Fracture, and Midnight Tiger… And it reminded me just getting into the business drawing costumed heroes. There’s an exuberance there and innocence that’s gone from the industry now.